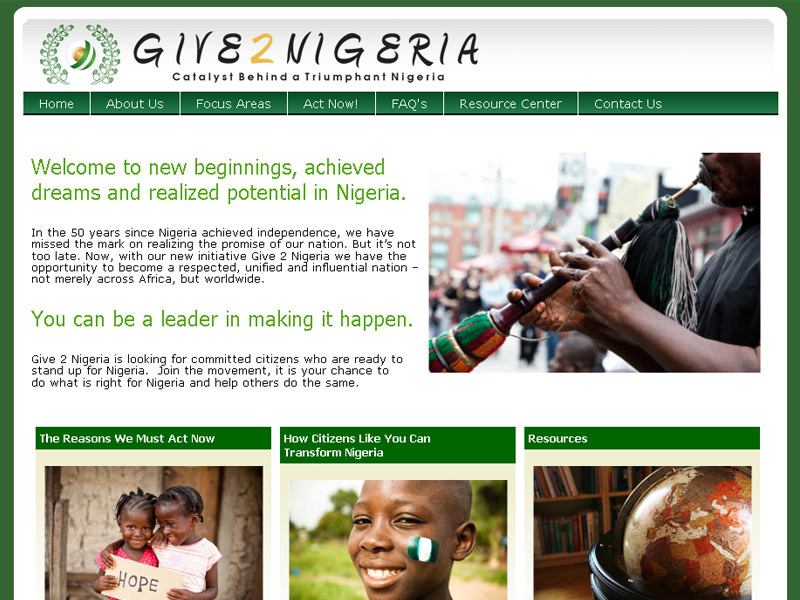 Inforest Communications is please to announce the launch of the Give 2 Nigeria Web site (http://www.give2nigeria.org). Give 2 Nigeria is an organization started by Nigerian ex-patriots to provide resources and models for positive social change and community development. The Web site explains this mission of the organization, challenges citizen action and serves as a hub for distributing resources to Nigerians to encourage positive social change in their country. The site invites visitors to enroll to be “Ambassadors” for change and features a form for a Pledge for Ethics and Social Responsibility, which generates a personalized PDF document participants can print out and sign. Give2Nigera.org is built on Inforest’s own Content Management System to provide for site additions and editing. Inforest was excited to work on a project that will serve to improve the social fabric in Nigeria. We look forward to seeing the Give 2 Nigeria movement grow over the coming months.